One thing I've learned in researching the backgrounds of these various groups, is that when you have multiple people involved, sometimes the multiple egos and personalities are bound to clash from time to time. This group has proven to be no exception to this. The band formed in Dayton, Ohio in 1959 as the Ohio Untouchables and initially included members Robert Ward (vocals/guitar), Marshall "Rock" Jones (bass), Clarence "Satch" Satchell (saxophone/guitar), Cornelius Johnson (drums), and Ralph "Pee Wee" Middlebrooks (trumpet/trombone). They were best known at the time as a backing group for Detroit's The Falcons. In 1964, Ward and Jones got into a fist fight and Ward ended up leaving. The group returned to Dayton where they replaced Ward with 21-year-old Leroy "Sugarfoot" Bonner (guitar), who would become the group's front man, and added Gregory Webster (drums). To accommodate Bonner's musical style preferences for the group ("R&B with a little flair to it") and to avoid competing with Ward, the group changed their format. 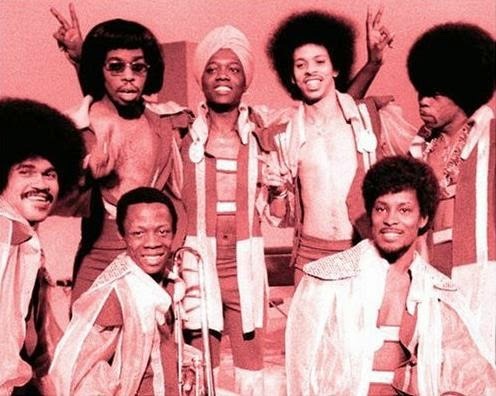 By 1965, the group had renamed themselves the Ohio Players, reflecting its members' self-perceptions as musicians and as ladies' men. The group added two more singers, Bobby Lee Fears and Dutch Robinson, and became the house band for the New York-based Compass Records. In 1967, they added vocalist Helena Ferguson Kilpatrick, who had just returned from George Gershwin's European Tour of Porgy and Bess. The group disbanded again in 1970. After again re-forming with a line-up including Bonner, Satchell, Middlebrooks, Jones, Webster, trumpeter Bruce Napier, vocalist Charles Dale Allen, trombonist Marvin Pierce, and keyboardist Walter "Junie" Morrison, the Players had a minor hit on the Detroit-based Westbound label in with "Pain" (1971), which reached the Top 40 of the Billboard R&B chart. James Johnson joined the group at this time as vocalist and saxophonist. Dale Allen shared co-lead vocals on some of the early Westbound material, although he was not credited on their albums Pain and Pleasure . It was at Westbound Records where the group met George Clinton, admired their music. The two albums' avante-garde covers featured a spiked-black leather-bikini clad, bald model Pat "Running Bear" Evans, who would later grace additional Ohio Players albums, including Climax, Ecstasy, and Gold. 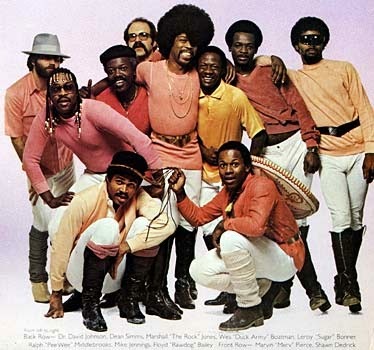 The band's first big hit single was "Funky Worm", which reached #1 on the Billboard R&B chart and made the Top 20 on the Billboard Hot 100 in the spring of 1973. It sold over one million copies and was awarded a gold disc by the R.I.A.A. in May of that year. The band signed with Mercury Records in 1974. By then, their line-up had changed again, with keyboardist Billy Beck instead of Morrison and Jimmy "Diamond" Williams on drums instead of Webster. On later album releases, they added second guitarist/vocalist Clarence "Chet" Willis and conga player Robert "Rumba" Jones. Meanwhile, keyboardist Walter "Junie" Morrison recorded three albums on his own before joining Funkadelic as the force behind their hit One Nation Under A Groove. The band had seven Top 40 hits between 1973 and 1976. These included "Fire" (#1 on both the R&B and pop chart for two weeks and one week respectively in February 1975 and another million seller) and "Love Rollercoaster" (#1 on both the R&B and pop charts for one week in January 1976; another gold disc recipient). The group also took on saxophonist James Johnson. The group's last big hit was "Who'd She Coo?" a #1 R&B hit in August 1976. It was their only success in the United Kingdom, where it peaked at #43 on the UK Singles Chart in July 1976. Labels: Fire, Funky Worm, George Clinton, George Gershwin, Love Rollercoaster, Ohio Players, One Nation Under a Groove, Pain, Parliament-Funkadelic, Who'd She Coo?